The purpose of the present study was to see if emotion recognition skill and locus of control in 8-year-old children predicted teacher rated Goodman Strengths and Difficulties (SDQ, Goodman in J Am Acad Child Adolesc Psychiatry 40:1337–1345, 2001) 2 years later. Children participating in the Avon Longitudinal Study of Parents and Children (ALSPAC; Golding in Eur J Endocrinol 151:U119–U123, 2004. https://doi.org/10.1530/eje.0.151U119) completed emotion recognition tests of child facial expressions and voices and a child locus of control scale when they were 8 years of age. Later at age 10, as part of ALSPAC’s on-going-assessment of children’s personal and social lives, teachers completed the SDQ. Based on past research and developmental theory (e.g., Nowicki and Duke in J Nonverbal Behav 18:9–35, 1994; Thomas et al. 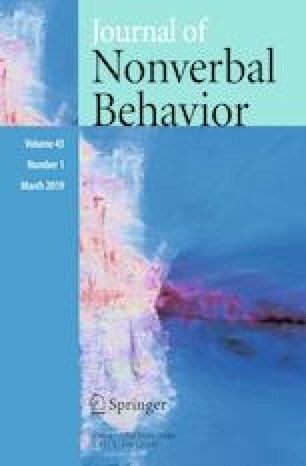 in Dev Sci 10(5):547–558, 2007) it was predicted and found that children who made more recognition errors, were more external, and male at age 8 had a greater number of teacher-rated psychological/behavioral difficulties at age 10 than those who made fewer errors, were internal, and female. Implications of the findings for children’s personal and social adjustment were discussed.